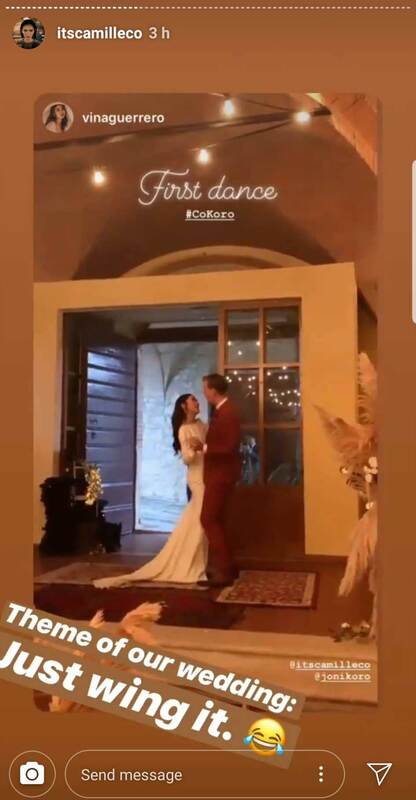 The couple threw a welcome dinner for their guests before the big day. They sent their friends stylish invitations in deep red and beige. Their witty hashtag #CoKoro plays with the Japanese word kokoro, which means heart. Incidentally (or purposefully), Joni proposed in Japan in September last year. 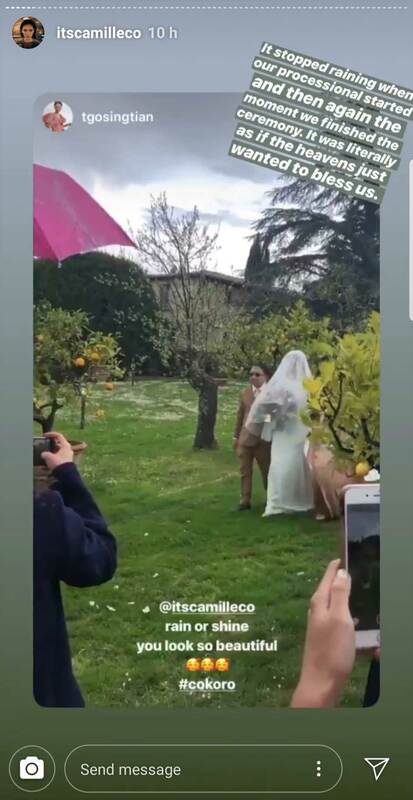 The pair exchanged vows at Villa Catignano, a 17th century accommodation. Camille walked down the aisle in a simple and sleek Lela Rose gown. 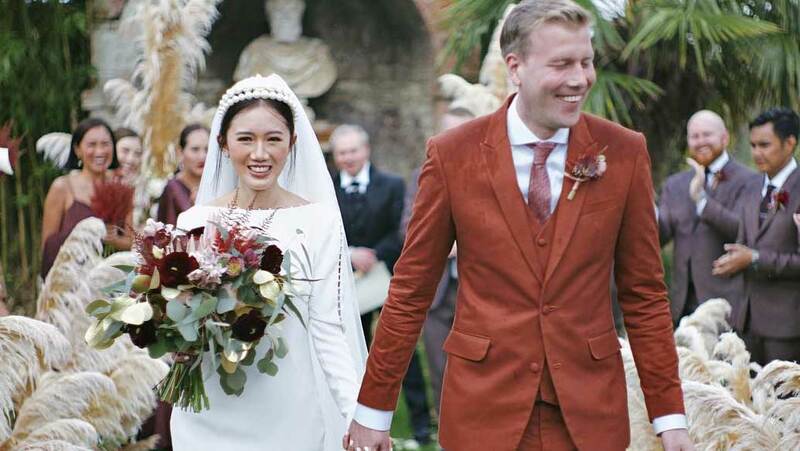 Kryz Uy was such a hands-on bridesmaid. 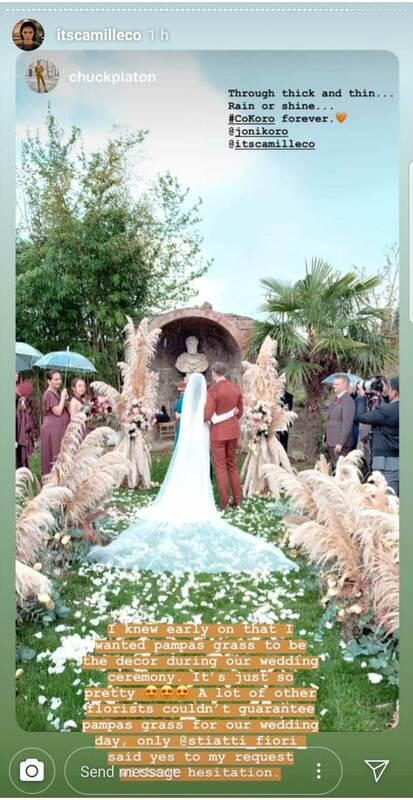 The garden wedding was mostly decorated with pampas grass, not flowers. It’s a tall feather-shaped plant native to South America. The reception was moved indoors due to the rain, and that’s okay! The setup looked super cozy. 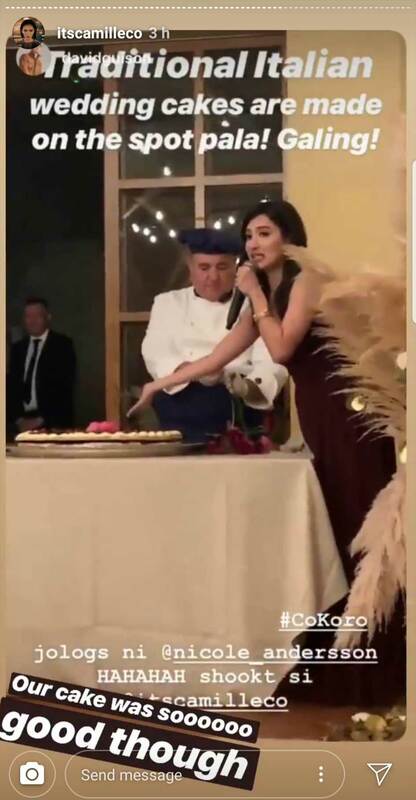 They had a traditional Italian wedding cake, which was made on the spot. 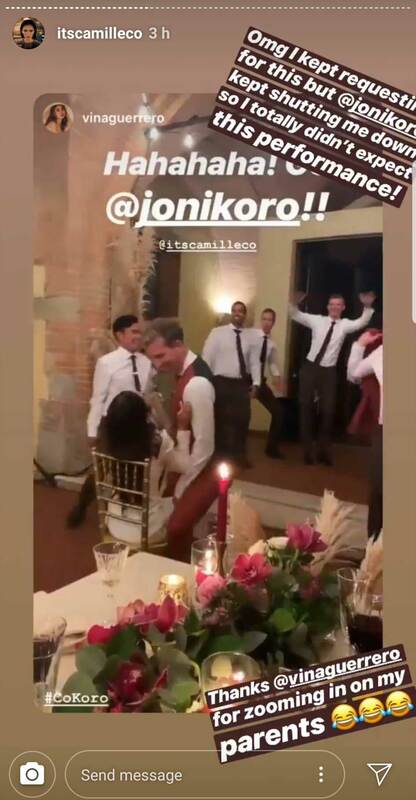 Joni did a lap dance for Camille to the song “Pony” by Ginuwine—known for its use in Magic Mike. 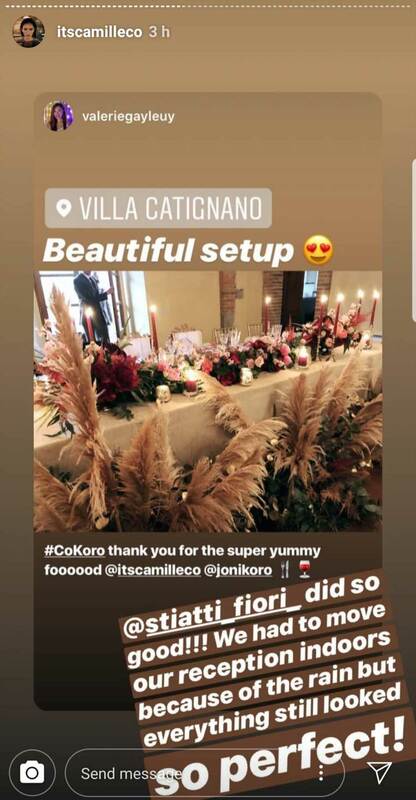 Camille changed to a fringed, feathery dress—totally matching the pampas grass—for the after-party.